It’s Vegas week on American Idol and I’m cooking up themed recipes for Yahoo! Music’s Lyndsey Parker and her Reality Rocks blog. Last night I was inspired by a little gambling with my poker chip themed Herbed Cream Cheese & Bell Pepper Chips. Tonight I wanted to be a little more sinful and my girlfriend Synthia had the perfect recipe for me to steal. She brought these little beauties over for Super Bowl Sunday and they were literally gone in about 10 minutes. 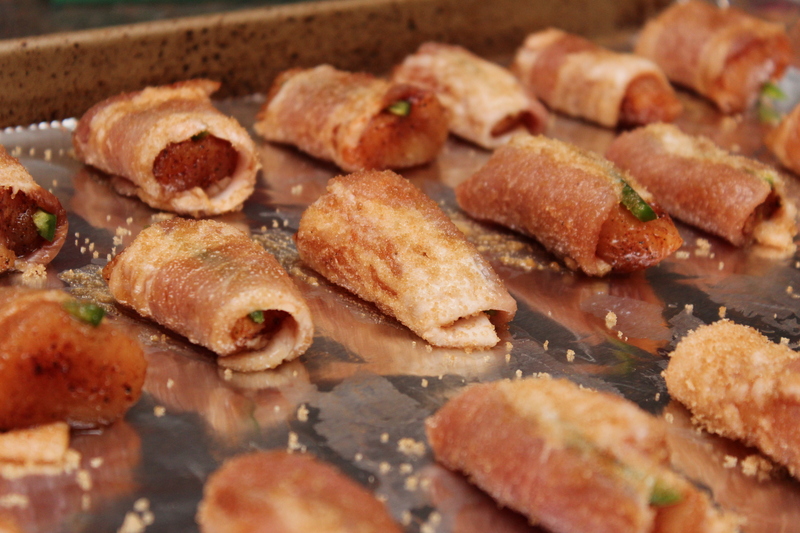 They’re so easy, absolutely delicious and well…sinful. 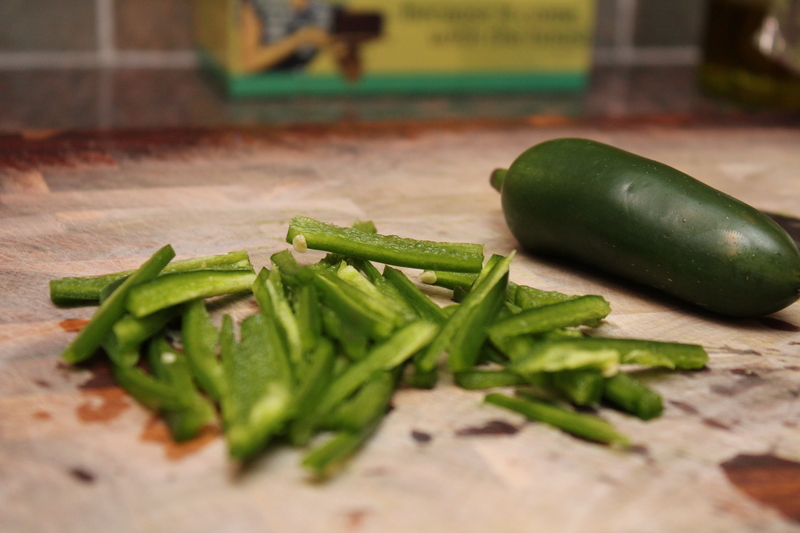 I decided to add a sliver of jalapeño to each bite to spice it up a bit and they turned out sooo good. Have you guys been watching American Idol? Who’s your favorite? 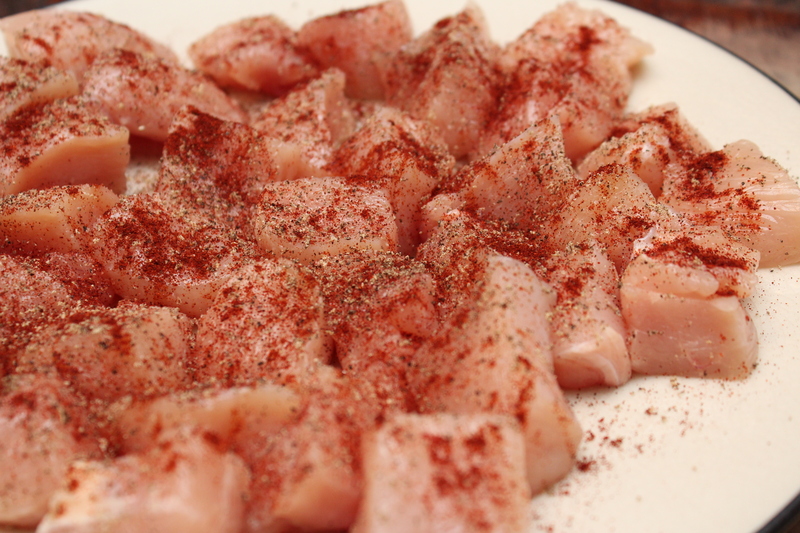 Cut the chicken into bite size pieces and liberally season with the salt, pepper and chili powder. 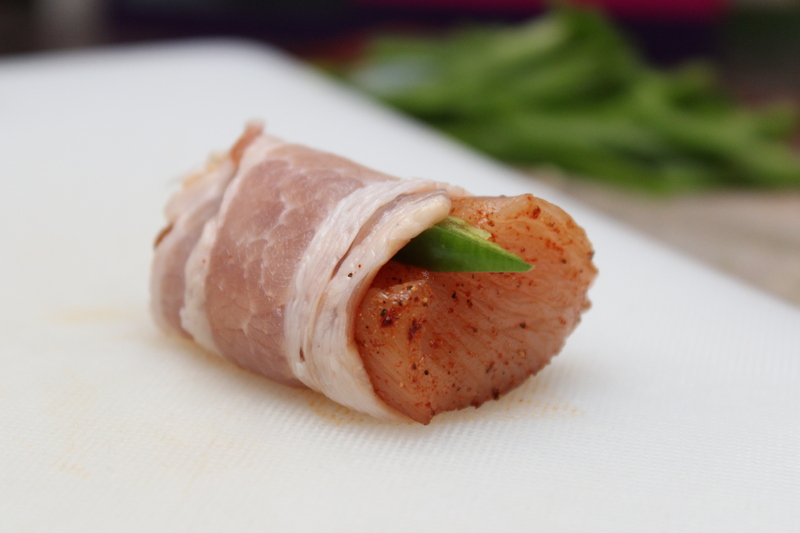 Toss until evenly coated with the seasoning. 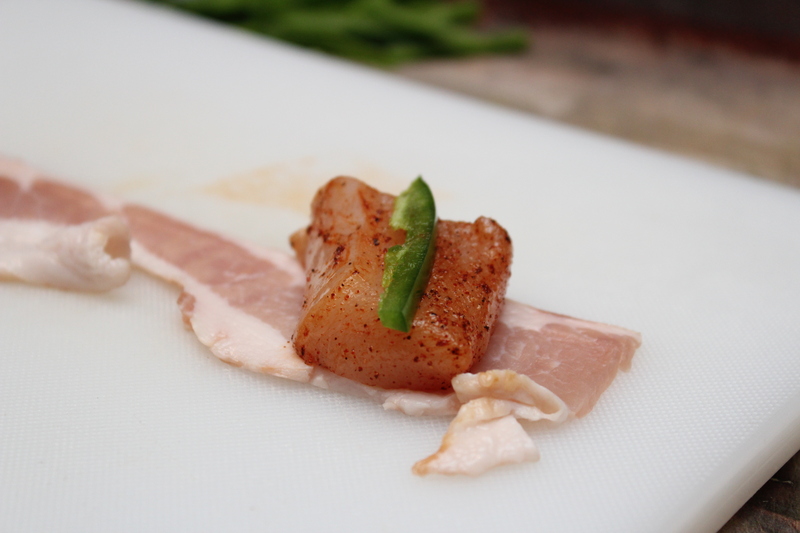 Press a sliver of jalapeño against each piece of chicken and tightly wrap with a piece of bacon. Overlap the ends to seal. 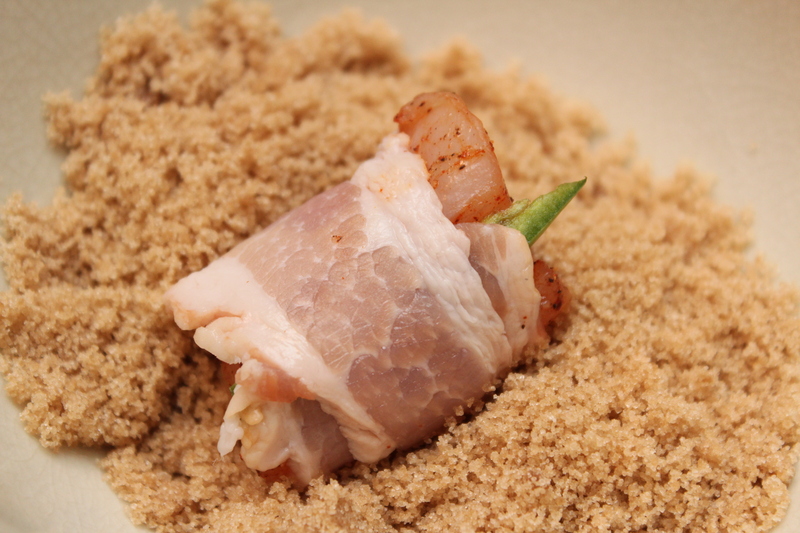 Dredge each piece of chicken in the brown sugar. Place on a foil lined baking sheet, seem side down. 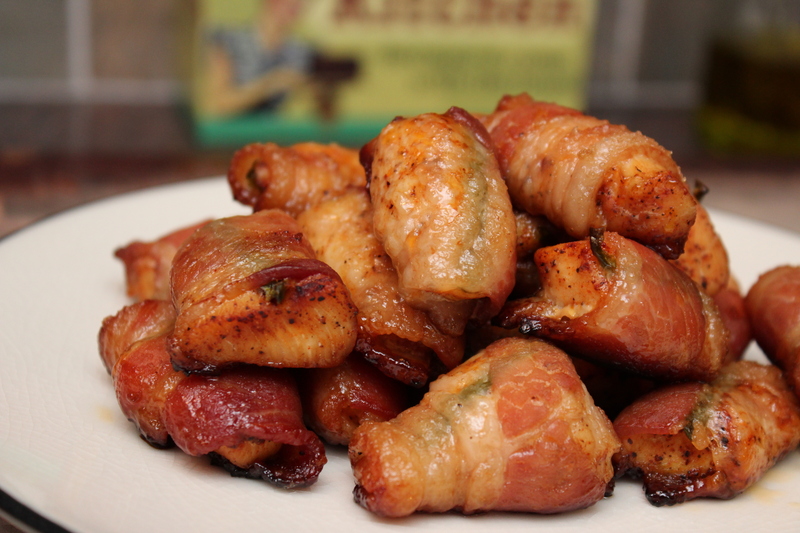 Bake for 30-35 minutes until the chicken is cooked through and the bacon is nice and crisp. oh my good lord! looks absolutely fabulous!